The programme dubbed ‘Design Fellowship’ is expected to span six months, from July to December 2019. Tech incubator, Co-creation Hub’s Design Lab (CcHUB) has on Friday launched a six-month immersive training programme in Kigali targeting graduates looking to address some of Africa’s complex problems through design-inspired innovations. The Fellowship will feature courses and projects aimed at incorporating human-centered design (HCD) thinking – a framework that involves human perspectives in all steps of the problem-solving process – into how public agencies and corporate organizations solve problems, according to CcHUB. This will be done through exploiting technology to improve services, products and processes, and building partnerships and relationships to collaboratively solve significant social and business challenges. Participants are expected to spend time in between the new lab, communities and partner organization offices to work on real-life projects and programmes aimed at influencing better outcomes. 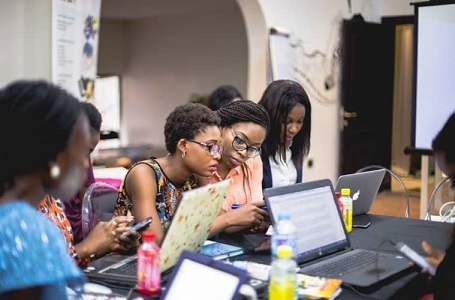 Since launching the CcHUB Design Lab in February, this is the first Fellowship designed to further deepen its mission to support Africa’s growing tech sector. By becoming a creative space with a multidisciplinary team of product designers and engineers collaborating with scientists and stakeholders, the Design Lab is exploring the application of emerging technologies that will solve Africa’s systemic problems. Design Lab was launched earlier this year by a Nigerian investor who committed a $10 million investment.